The exhibition Zero Hours – part of this years Art Sheffield 2013 Festival – starts with a single work, Joseph Beuys’ Wirtschaftswerte (Economic Values), 1980. Literally a peering over the wall into another economic, social and political world, the work opens up questions about systems, value and art. How do we imagine new ways of living and working from inside our own socio-economic systems? What legacies of our industrial past are shaping our future? What are the systems of value that we rely on? Zero Hours presents work by Edgar Arceneaux, Elena Bajo, Zoe Beloff, Joseph Beuys, Ben Cain, Garth Evans, Forced Entertainment, The Grantchester Pottery, Urs Fischer, Mikhail Karikis, Ryan Mosley, David Riff and Dmitry Gutov, Oliver Ressler and Katja Strunz at locations across the city including Bloc Projects, Graves Gallery, S1 Artspace, Sheffield Institute of Arts Gallery, Site Gallery and off-site venues. 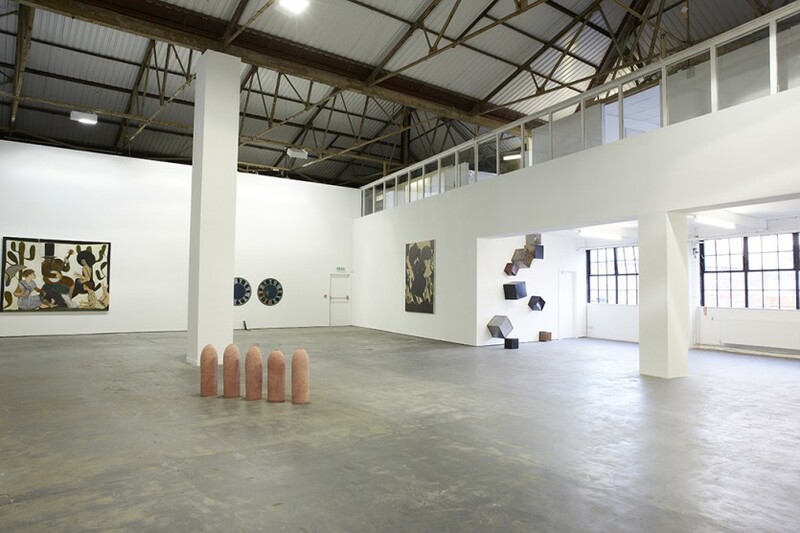 At S1 Artspace we present new and existing works by Elena Bajo, Ryan Mosley and Katja Strunz. 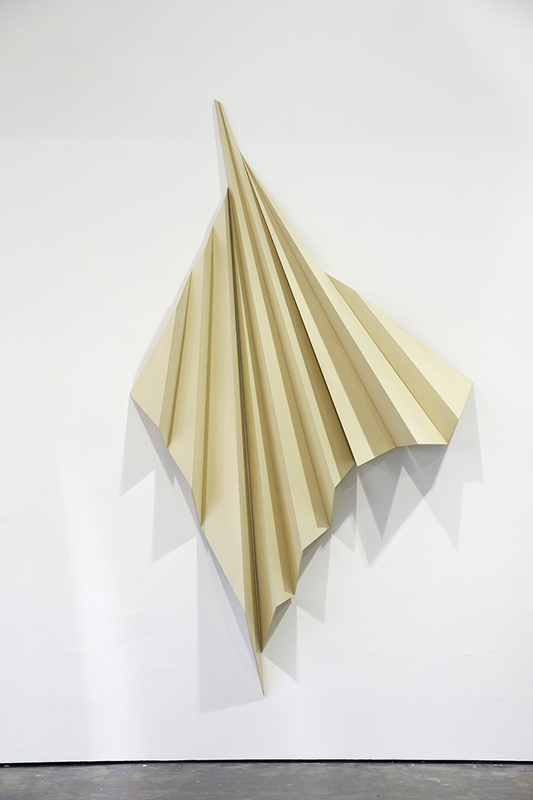 Elena Bajo describes her practice as concept generated and research-based. She develops her work through engagement with a given context, often drawing from events, texts and cultural phenomena of social and political significance. From Illusion, Delusion, Allusion (Studies for a Movement at 66 RPM) The Order of Anarchy (2011), in which three dancers perform sequences generated through an interpretation of an anarchist manifesto, to Reconstructing the Common (2012), a series of sculptural works created from glass factory rejects and scrapped aluminium frames, Bajo’s works often develop with elements of improvisation, chance and the translation of ideas across art forms by dancers, musicians and other creative practitioners. 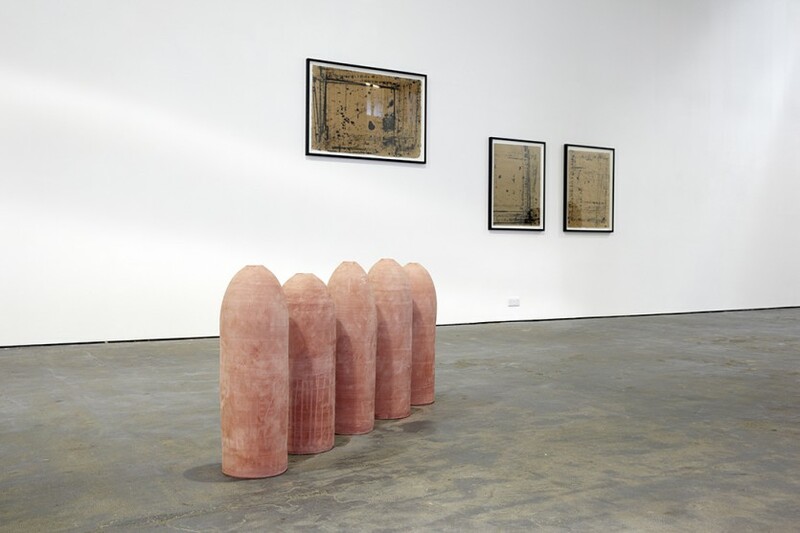 Aesthetically formal, Bajo’s sculptural and two dimensional works appear as props or remnants of a previously undertaken process or activity, containing traces of the labour employed in their production. 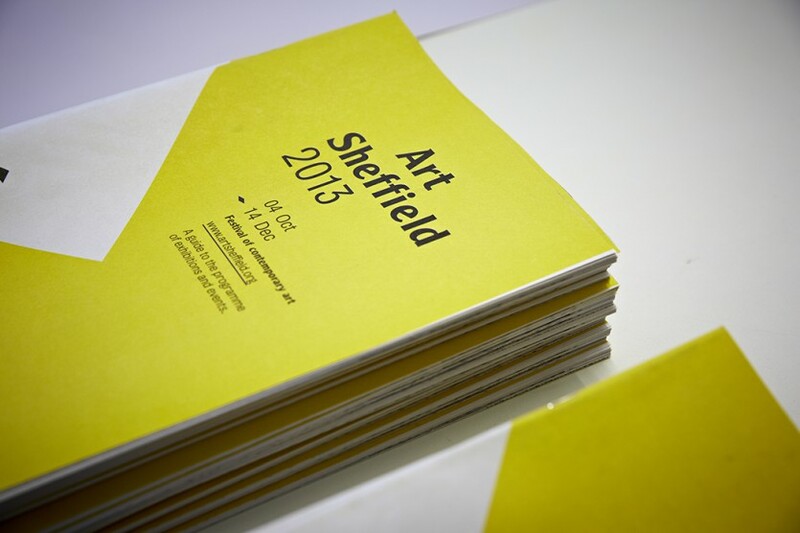 Her new work, created for Art Sheffield 2013, has developed through an interest in the city’s industrial past and present, and the changing ideas and meanings attached to time and making evoked in its transition throughout the 20th Century. Bajo brings together object and material fragments that subtly reference a complex set of conditions and social relations. 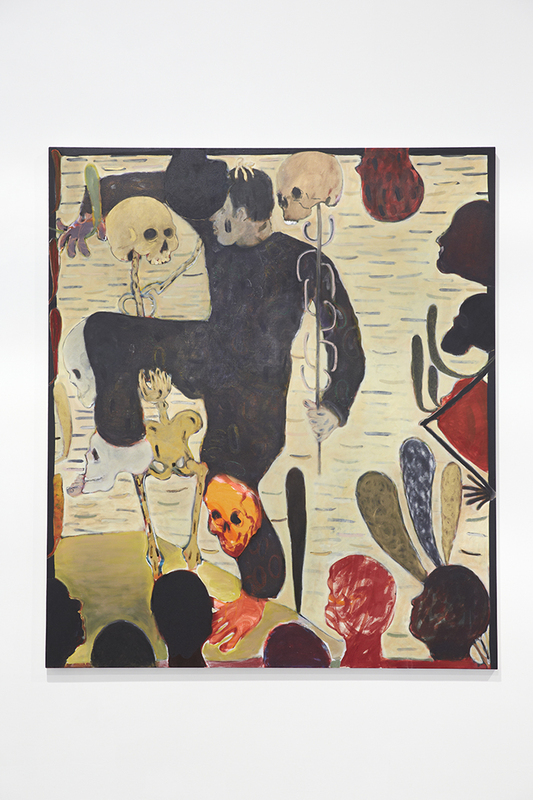 Ryan Mosley’s large-scale paintings imbue a sense of the familiar in an otherwise unfamiliar vision of the world. Through composition, colour, character and motif, Mosley draws from a rich history of notable great painters to create enigmatic compositions where past and present merge. Although resolutely contemporary, traces of Degas, Titian and Toulouse-Lautrec can be seen in Mosley’s paintings that present a decisively darker vision of our time. 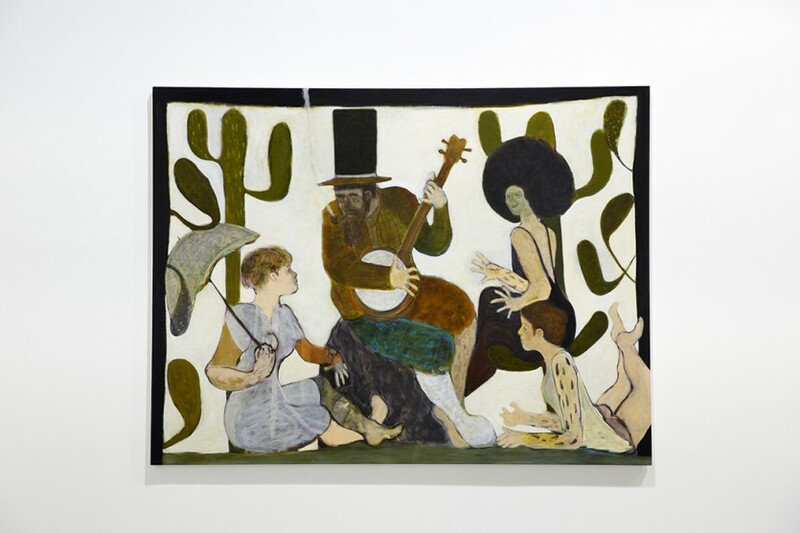 Crossing cultures while suggesting specific tales, his paintings pull together predominantly male characters inspired by folk law, the Wild West and the South Seas. Shadowy figures appear to perform in scenes that subtly portray distinctions of class, gender and authority through rituals, gestures and stance. 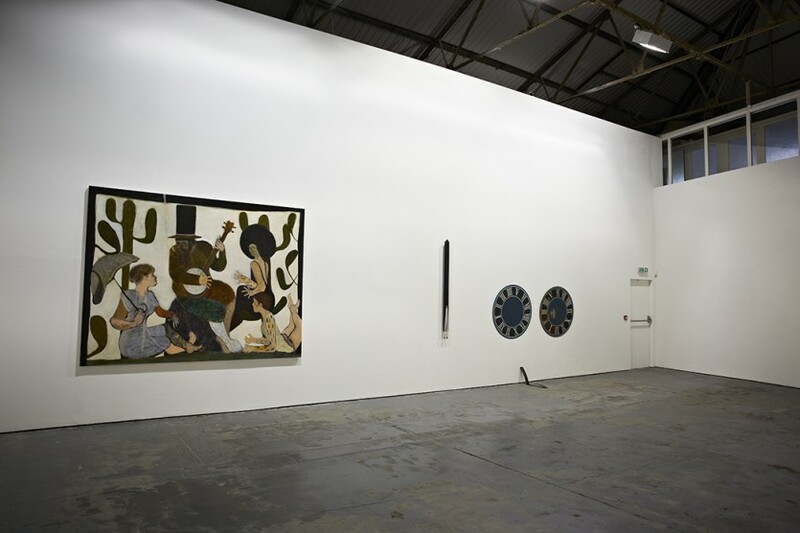 Obscure and enigmatic, theatrical and somewhat absurd, Mosley’s paintings chime with the world in which we live, confusing our sense of what is now and more poignantly what is to come. Katja Strunz’s sculptural works reverberate the past as they bear traces of lived experience; a past that has informed and shaped their present being. Concerned with the resonances of history and time passing – what the artist terms ‘aftermath’ – Katja Strunz creates sculptures from found and recycled materials that attempt to capture a moment in time; a present moment so inextricably linked to its past that will undoubtedly shape its future. 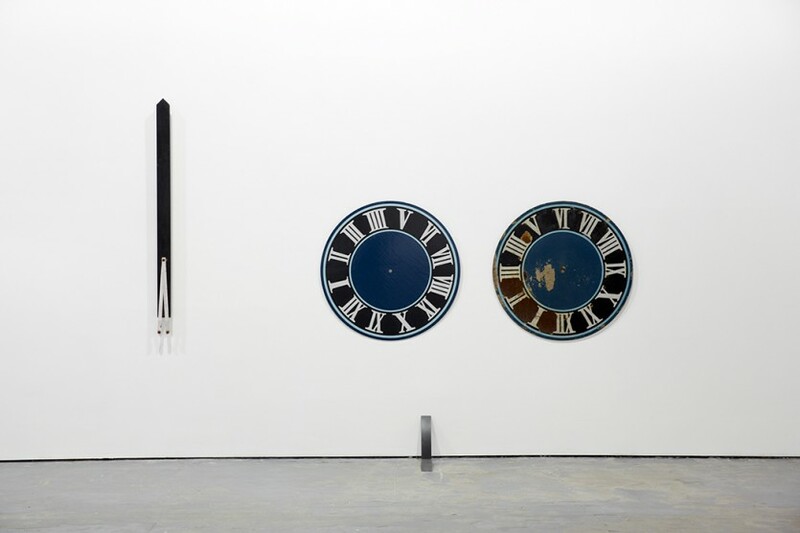 Redundant clock faces salvaged from a seemingly more affluent and buoyant time feature regularly in Strunz’ work. Yet stripped of their primary function of marking the passage of time, these objects fall short in their attempt to halt time as their faded and decaying surfaces continue to erode and confront their own inevitable demise. Although Strunz constructs sculptures in a manner that makes reference to Minimalism, she rejects the precise finish duly associated in favour of a more immediate handmade presence. 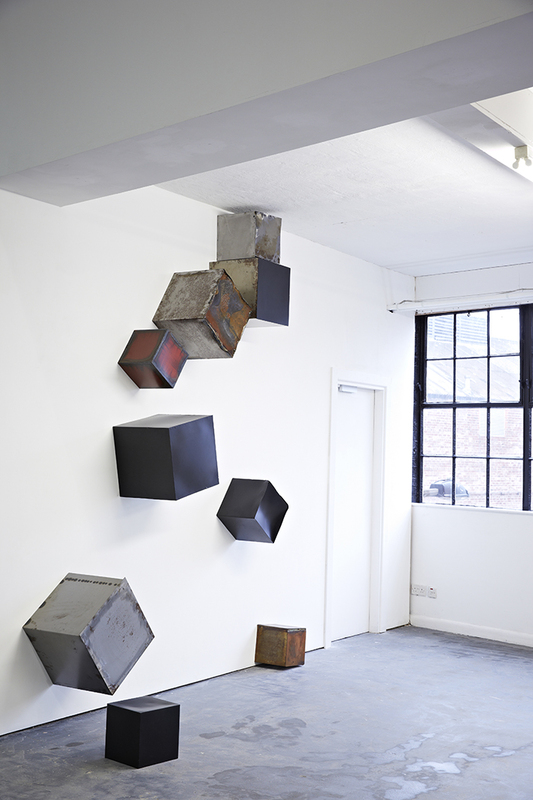 In her wall-based relief sculpture, Fall Into Space (2007), dented and weatherworn sheet metal cubes appear suspended mid-performance as they cascade from ceiling to floor. Retreating from the forward-thinking optimism of her constructivist predecessors, Strunz’ work suggests a complex and uncertain position as what she unearths bears signs of the grave. Elena Bajo lives and works in Los Angeles and Berlin. She has exhibited at Marlborough Contemporary, London (2013); Liste 17, Basel, (2012) and Performa 11 Biennial, New York (2011). Recent solo shows include: La Femme Radicale or The Point of No Return, D+T Project, Brussels (2013) and The Factory of Forms, Jan Van Eyck Academie, Maastricht (2012). Ryan Mosley was born in Chesterfield, UK. He studied Drawing and Painting at the University of Huddersfield (2003) and Painting at the Royal College of Art, London (2007). His work has been shown at Eigen + Art, Berlin; Alison Jacques Gallery, London; Royal Academy of Arts, London; Saatchi Gallery, London and The Hermitage, Russia. Mosley currently lives and works in Sheffield and London. Born in in Ottweiler, Germany, Katja Strunz lives and works in Berlin. Her work has been presented in numerous group and solo exhibitions including the Sao Paolo Biennale, Brazil (2012); Camden Arts Centre, London (2010) and the Carnegie Museum of Art, Pittsburgh, USA (2008).